Key difference: Nintendo Wii and PS3 are video game consoles. Technically, on the market level both these game consoles are competitors of each other. Nintendo Wii is a Nintendo company product, whereas PS3 (commonly known as, PlayStation 3) is a Sony Computer Entertainment company product. Nintendo Wii is a video game console, which was released on November 19, 2006 by Nintendo. It is an incredible compact system. Wii is an advanced built-in gaming system, with external hardware development connections. It’s Nintendo's fifth major home console. The design and structure of Wii focuses more on the demographic features of the game. It is a stand-alone vertical system and consists of extra hardware features. The whole system needs to be connected externally to a television; hence this feature enables the players to view and play the Wii game on a large screen. To insert a game, there is a large slot on the front of the system surrounded by a glowing blue neon light. The slot can accept the 8 cm discs used by the Nintendo Game Cube and the standard 12 cm discs of Wii games. There is motion sensing Wii Remote Controller associated with the system, which is used handheld by pointing towards the device. It further detects movement in three dimensions and works on motion sensing technology. There is a pre-defined service application in the Wii system, which helps in downloading the latest and updated online games available in the market. These services are called “Virtual Console”, and feature emulated games from the past systems. 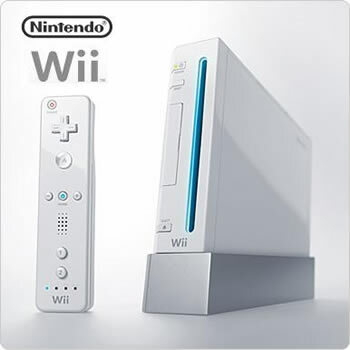 Nintendo Wii can be connected to Nintendo DS via a wireless connectivity, which enables the players to use the Nintendo DS microphone and touch screen as inputs for Wii games. One more notable feature of the console is WiiConnect24, which enables the system to receive updated notifications over the Internet even in the standby mode. PS3 is an official abbreviation for PlayStation 3. It is a famous home video game console developed and produced by Sony Computer Entertainment. It was released in the international market on November 11, 2006, in Japan. It is a part of the PlayStation series and is a successor of PlayStation 2. PS3 is the first major home-entertainment computer. It’s the first console system to use the Blu-ray Disc as a primary storage medium. The PS3 system supports the unified features, such as the online gaming service, the PlayStation Network and the associative connectivity with PlayStation Portable and PlayStation Vita. The system is known to support all kinds of digital entertainment. The system design hardware is based on the latest and updated technology. Its developed accessories include: the wireless Six-axis and Dual Shock 3 controllers, the Logitech Driving Force GT, the Logitech Cordless Precision Controller, the BD Remote, the PlayStation Eye camera, and the Play TV DVB-T tuner/digital video recorder accessory. Its system software can be updated by connecting to the Internet. The system is connected externally to the television and computer. The PlayStation supports the largely developed Graphical User Interface. The system can be connected to the PlayStation Store via the PlayStation connectivity. The Wii is a home video game console released by Nintendo. 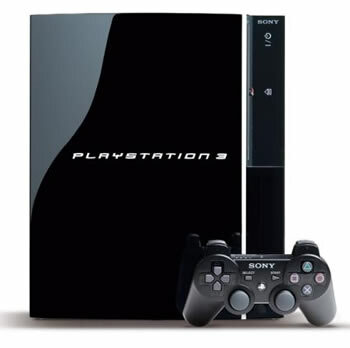 PS3 is a home video game console produced by Sony Computer Entertainment. It was released on November 19, 2006. It was released on November 11, 2006. There is a Wii Remote Controller, which works on the motion sensing technology. There is a Dual Shock 3 controller and the SIXAXIS system, which works on the motion sensing and moving technology. The system supports the Game Cube and Wii games. The system supports the digital entertainment and all types of games. The online connectivity is obtained by connecting to the Nintendo wireless connectivity and the WiiConnect24 services. The online connectivity is obtained by freely connecting to the PlayStation Network. Users can download games, browse movies and demos online for the original PlayStation online. The Nintendo Wii is completely backwards compatible with the games of the Nintendo Game Cube. The PlayStation 3 is backwards compatible only with the selected type of games, which would be applicable in the PlayStation 2 and the original PlayStation. Due to the component cables the players here can play the games ranging up to a resolution of 480p. HDMI outputs allows the gamers or players to play the games in full 1080p HD. The computer processor for the Wii is 729 MHz. The computer processor for the PS3 clocks in at 3.2 GHz. The graphics processor here is of 243 MHz. The graphics processor here is of is 550 MHz. The Wii is advanced but only for the Nintendo category games, it is not that latest and powerful as compared to the PlayStation 3. The PlayStation 3 is much more powerful than the Wii. Its further version is Nintendo Wii Mini. Its further version is PlayStation 3 Slim.